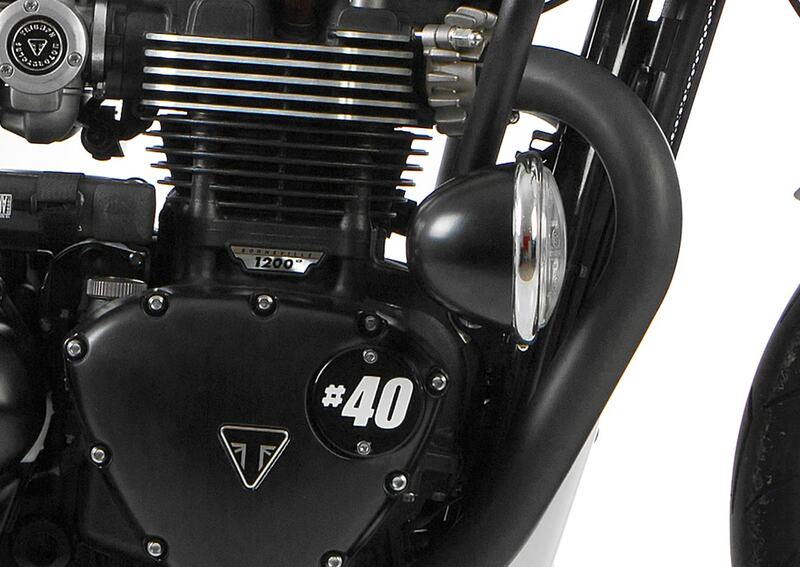 Tamarit Motorcycles has a truly weakspot for custom motorcycles, doesn't matter how tiny are the details to modify. When the new liquid cooled engines were released to the market by Triumph, one of the first features we noticed was the little slot on the engine covers, which gave option to replace the metallic part that was on it. Therefore, we decided to design our own custom engine badges for our clients for each side of their bike. The engine block of a motorcycle is one of the biggest remaining features of the classic motorcycle and perhaps the most characteristic feature. There are diverse parts on the engine to be modified on this motorcycle area without changing the performance, such as the sprocket, the valve covers or the primary rotor. Nevertheless, the element that brings more options towards the custom style are the little rounded gaps on each side on the motorcycle, where we put a little discs made of iron customized with the client favourite number, symbol or moto, we called them Triumph Engine badges. As mentioned, the engine block of the Triumph Modern Classics could be diversely modified, but the one we like the most is the engine badges with a personalyzed symbol , name or number yet to be decided by the client. As a reminder, we have to say that due the engine configuration of the engine block, this part is only appliable to the liquid cooled Triumph Motorcycles, those made since 2016. 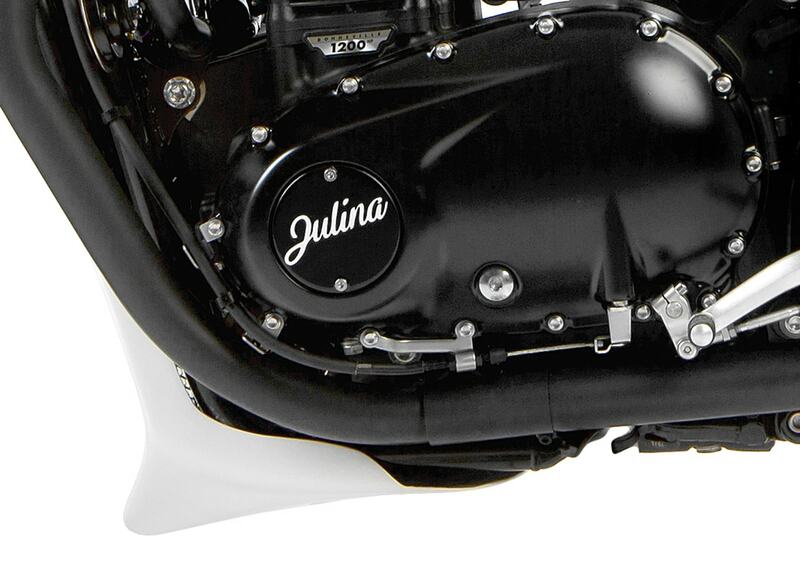 Through cut vinyl, this engine badges for the Triumph engine is hand painted with two possible colors, depending on which motorcycle do you have, you may select any number or word, as long as it fits on the printing area (obviously reduced) of these badges, and also the design shall be continuous, without any transparency or blurring. 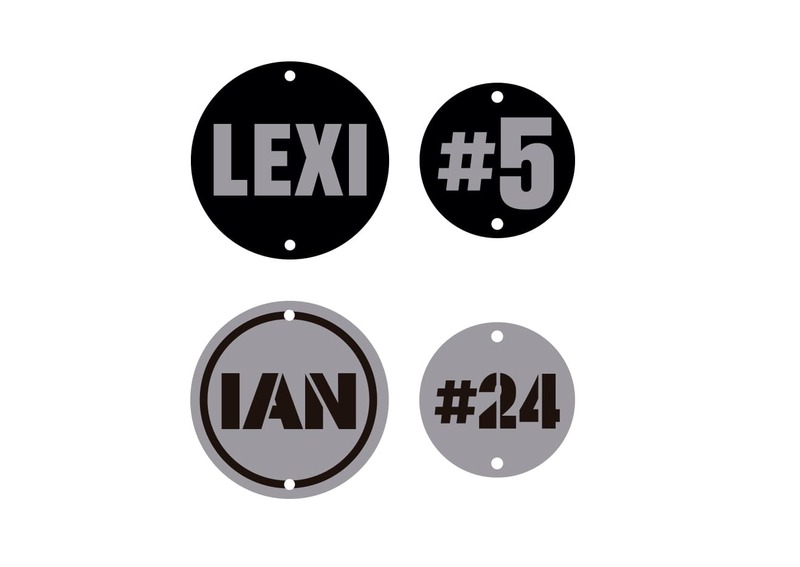 Once this part is purchased, please contact us through the contact forms to discuss the design and delivery times.